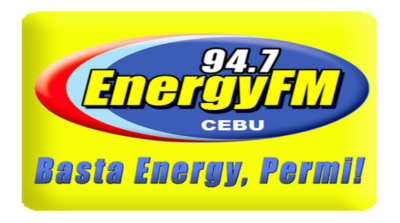 Listen to Energy FM Cebu 94.7 Live Online Streaming. Energy FM Cebu DYKT 94.7 MHz is a music FM radio station owned and operated by Ultrasonic Broadcasting System Inc.. The stations studio is located at Cebu City. This used to be Mellow Touch 94.7, under ownership of FBS Radio Network Inc., from 1992 – 1998. In 1998, UBSI acquired this station & rebranded it as 94.7 Energy FM due the ownership swapping. Note: If the player is not available and asking you to install the missing plugin for Windows Media Player, just choose the browser that you are using and download the plugin from the links below 100% safe and no virus.